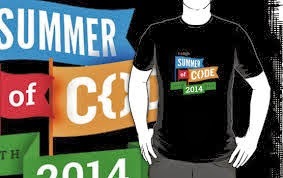 Google Summer of Code 2014 has been announced! Please take a look at the Timeline for more information on deadlines. Google Summer of Code is a global program that offers student developers stipends to write code for various open source software projects. We work with many open source, free software, and technology-related groups to identify and fund projects over a three month period. Since its inception in 2005, the program has brought together over 7,500 successful student participants from 97 countries and over 7,000 mentors from over 100 countries worldwide to produce over 50 million lines of code. Through Google Summer of Code, accepted student applicants are paired with a mentor or mentors from the participating projects, thus gaining exposure to real-world software development scenarios and the opportunity for employment in areas related to their academic pursuits. In turn, the participating projects are able to more easily identify and bring in new developers. Best of all, more source code is created and released for the use and benefit of all.